An interior view of a Hall Effect clamp meter. 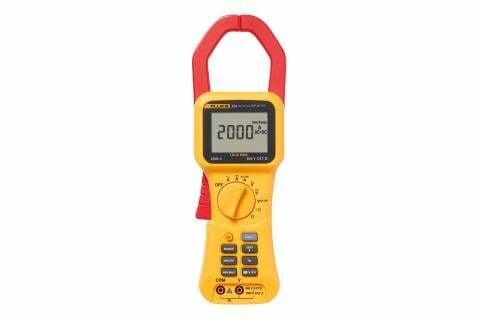 Hall Effect clamp meters can measure both ac and dc current up to the kilohertz (1000 Hz) range. 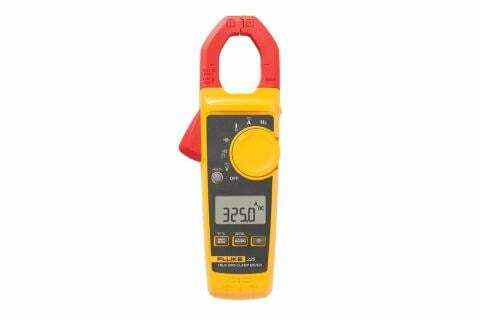 Like current transformer types, Hall Effect clamp meters use rigid iron jaws to concentrate the magnetic field that encircles the conductor being measured. 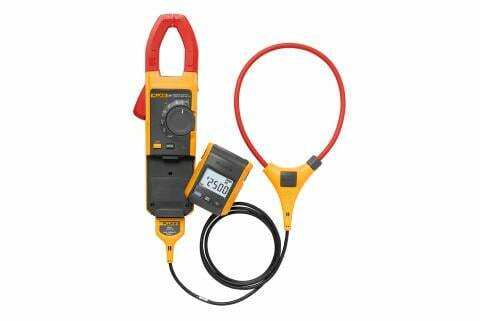 Unlike current transformer clamp meters, the jaws are not wrapped by copper wires. Instead, the magnetic field generated by the conductor is focused across one or more gaps in the core after the jaws are clamped around the conductor. Notice the point where the jaw tips of a Hall Effect clamp meter meet. Left: Jaws of ac-only current transformer clamp meters close tightly. Right: A sensor sits in the air gap between the jaws of Hall Effect clamp meters. A gap exists where the jaw tips of a Hall Effect clamp meter meet, creating an air pocket that the magnetic field (aka magnetic flux) must jump. This gap limits the magnetic flux so that the core cannot saturate. In contrast, the jaws of an ac-only current transformer clamp are flush when closed. When opened, the tips of the jaws show bare metal core faces. In that gap, covered by thin plastic molding, is a semiconductor known as a Hall Effect sensor—a transducer that varies its output voltage when responding to magnetic fields, in this case the magnetic field of the conductor or wire being measured. Its purpose is to measure magnetic flux directly. The output voltage from the sensor then amplified and scaled to represent the current flowing through the conductor that lies inside the jaws of the clamp. 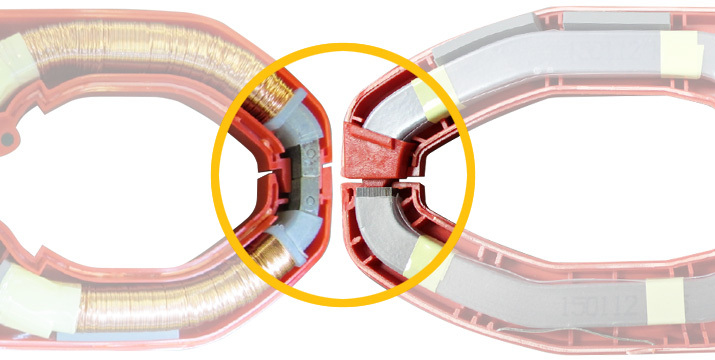 As current flows through a conductor being measured, the iron core formed by the jaws of a Hall Effect clamp meter allows the magnetic field to easily pass through—more easily, in fact, than air. When the magnetic field (flux) comes to that small air gap in the tips of the jaw, the field has to jump that gap. Because the gap is small, the field remains concentrated across the gap, and the Hall Effect sensor—which sits in the gap—produces a voltage proportional to the magnetic flux in the gap that the clamp translates into a current reading. 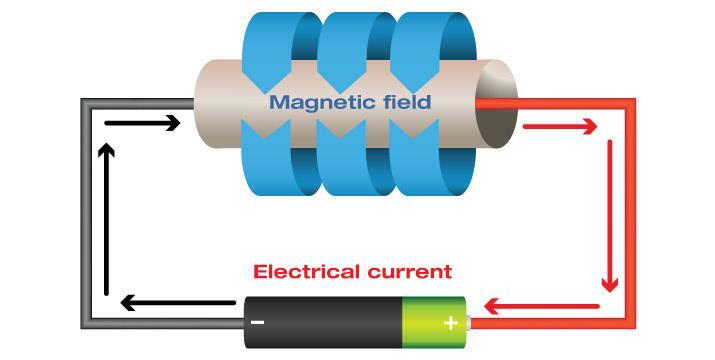 In Hall Effect devices, dc magnetic fields are also concentrated through the core, like a permanent magnet sticking to iron. Because of the dc magnetic field of the earth and the possibility of other magnetic fields near the measurement site, these clamps require the reading to be "zeroed" before taking a measurement to eliminate offsets. American physicist Edwin Hall (1855-1938) is credited for discovering the Hall Effect in 1879.